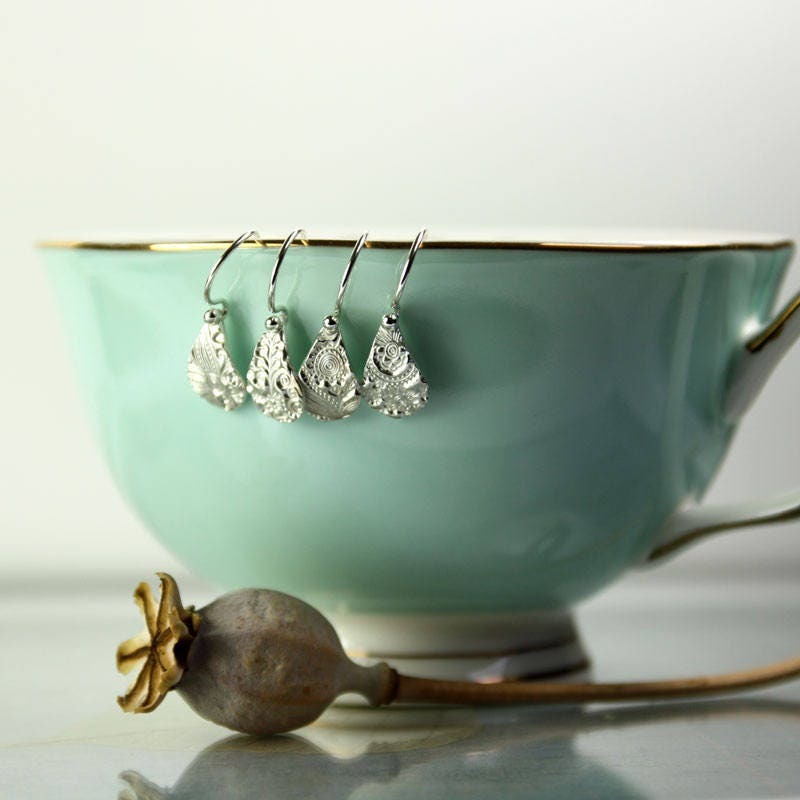 I call them my 'come to tea' earrings. 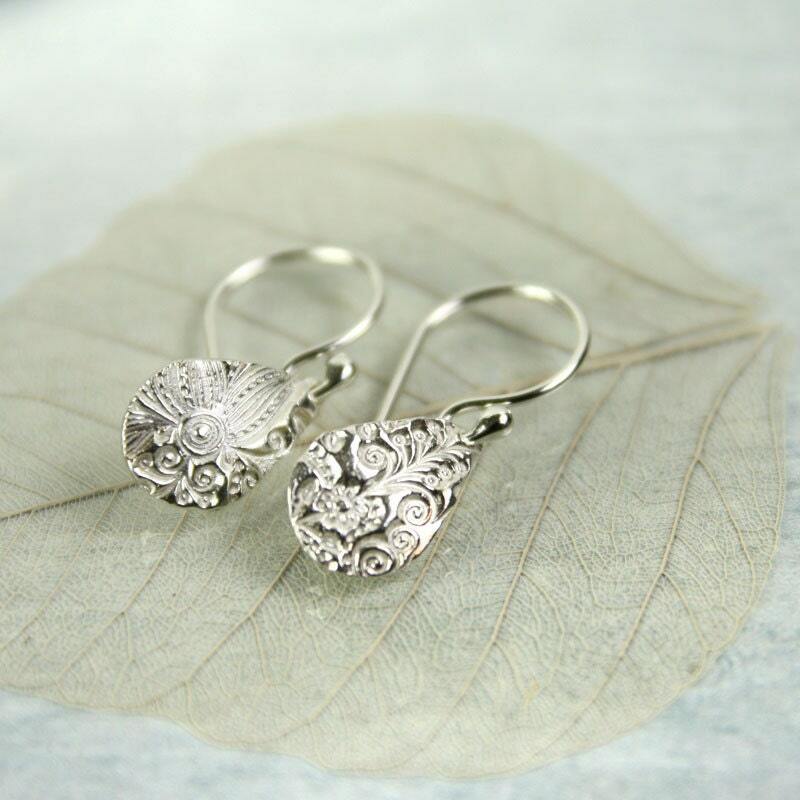 Understated and delicate, they still bring a shine highlight to your outfit. 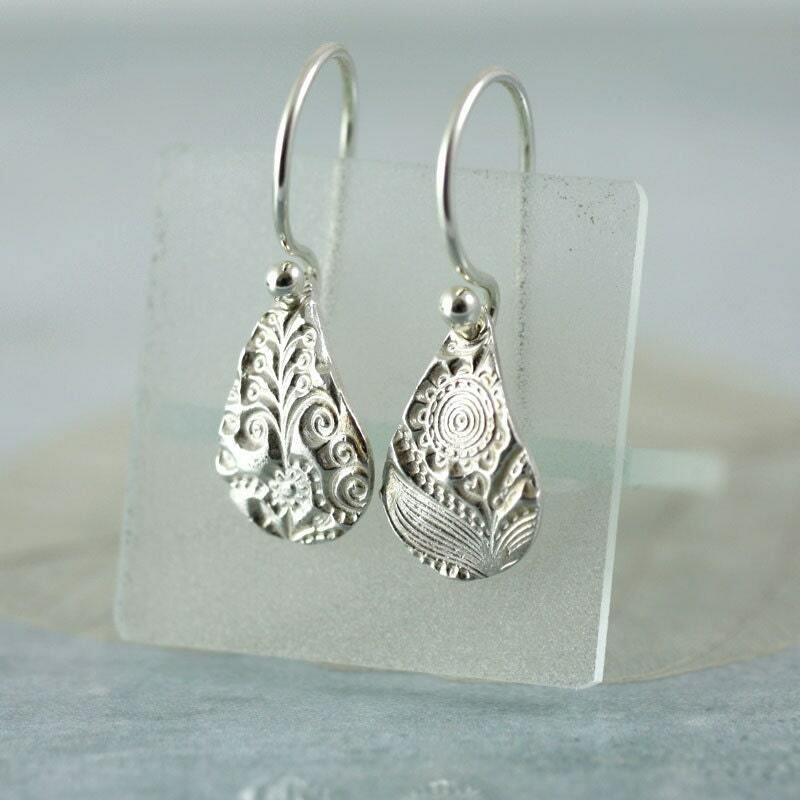 Dainty drop earrings made in recycled fine silver and impressed with a lovely flower, leaf and swirl pattern stamped into the metal. 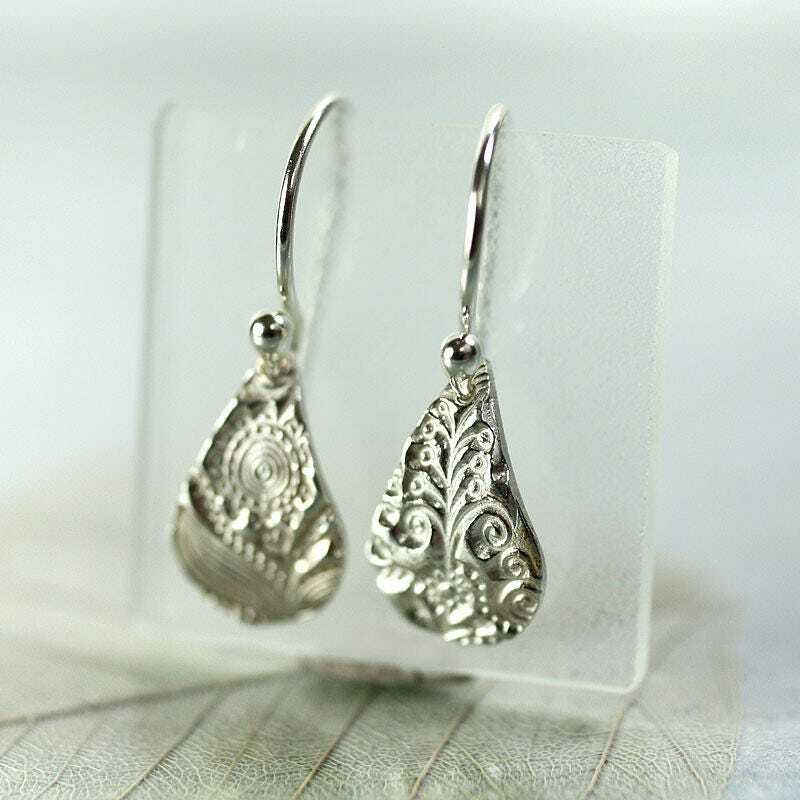 The texture varies slightly on each earring. Take a look at photo no 4 to get and idea. 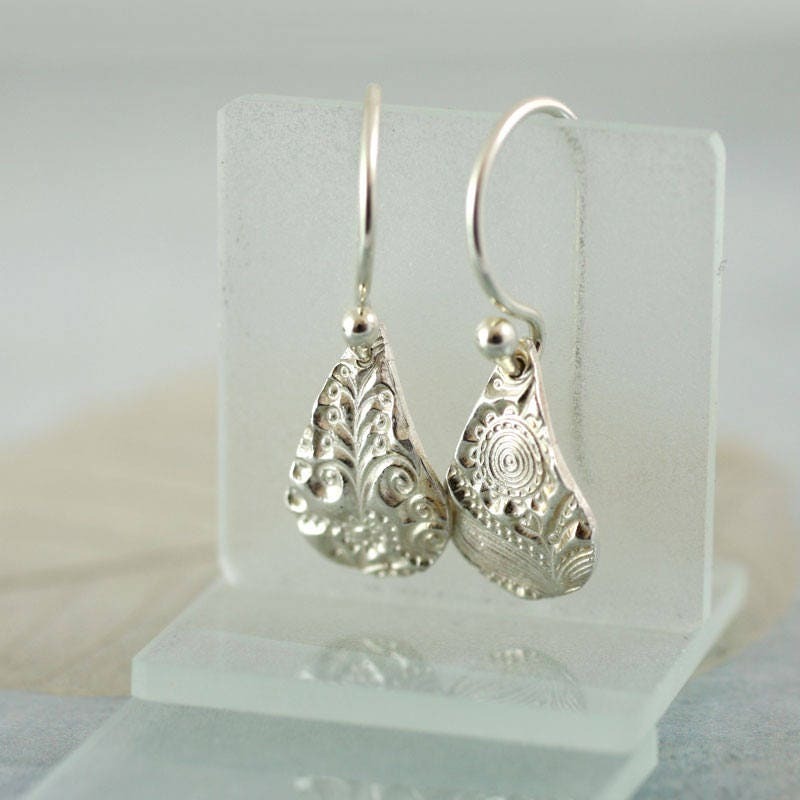 These earrings are made from metal clay - shaped and textured in clay for, then fired in a kiln until only pure silver is left. 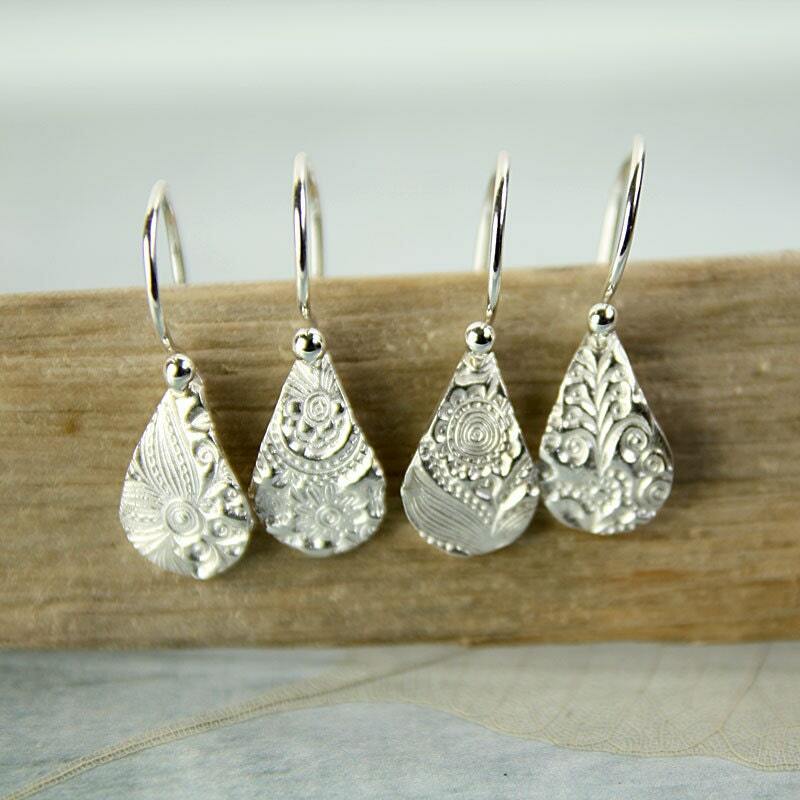 I then polish them to a high shine and hang them from sterling silver hooks. 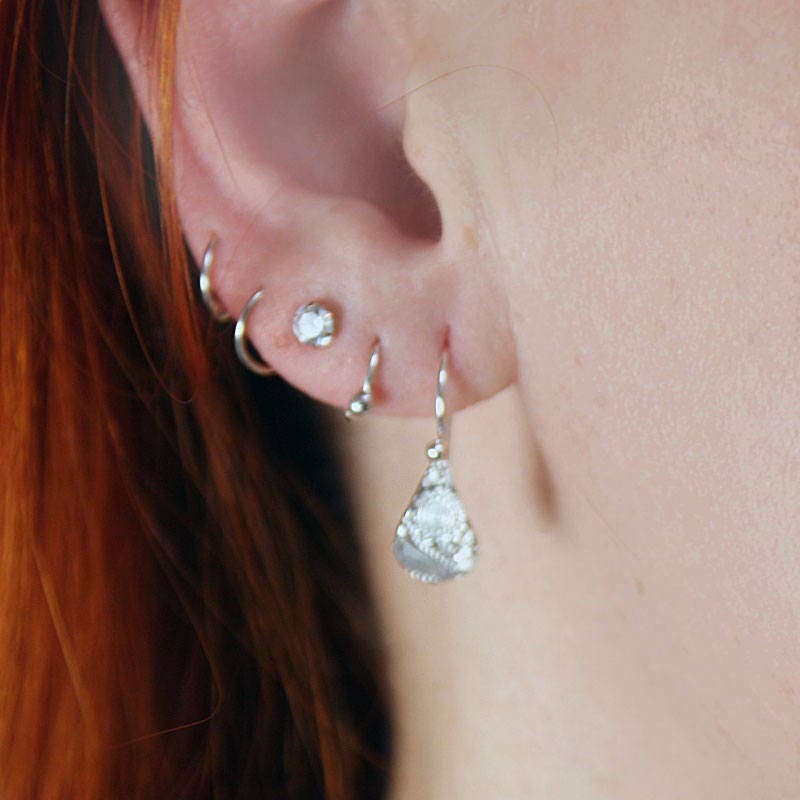 Perfect everyday earrings. Comfortable and light. 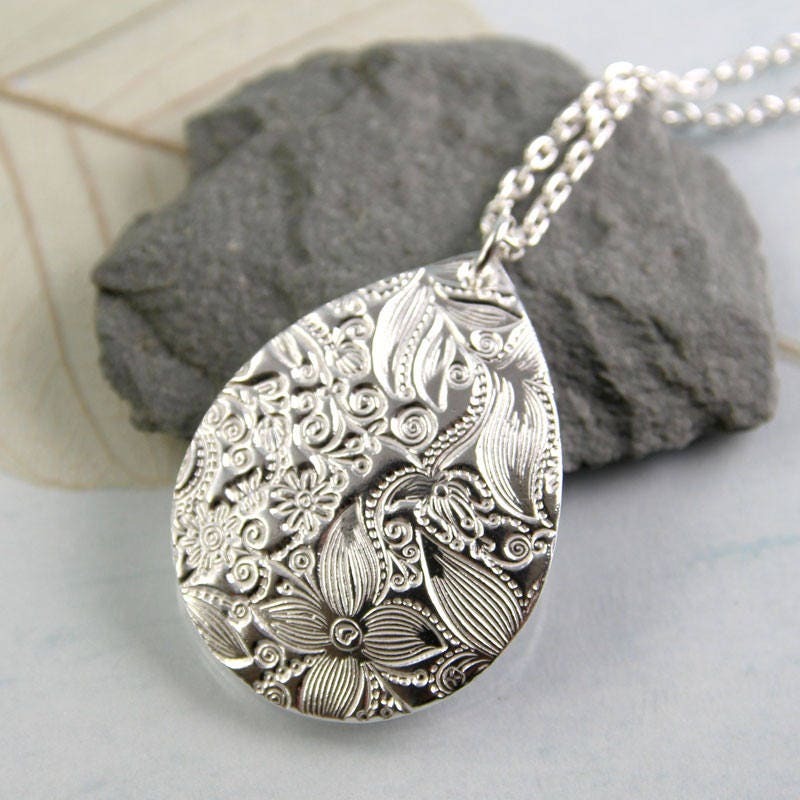 Would make a great Mother's Day gift and a lovely thank you or birthday present. 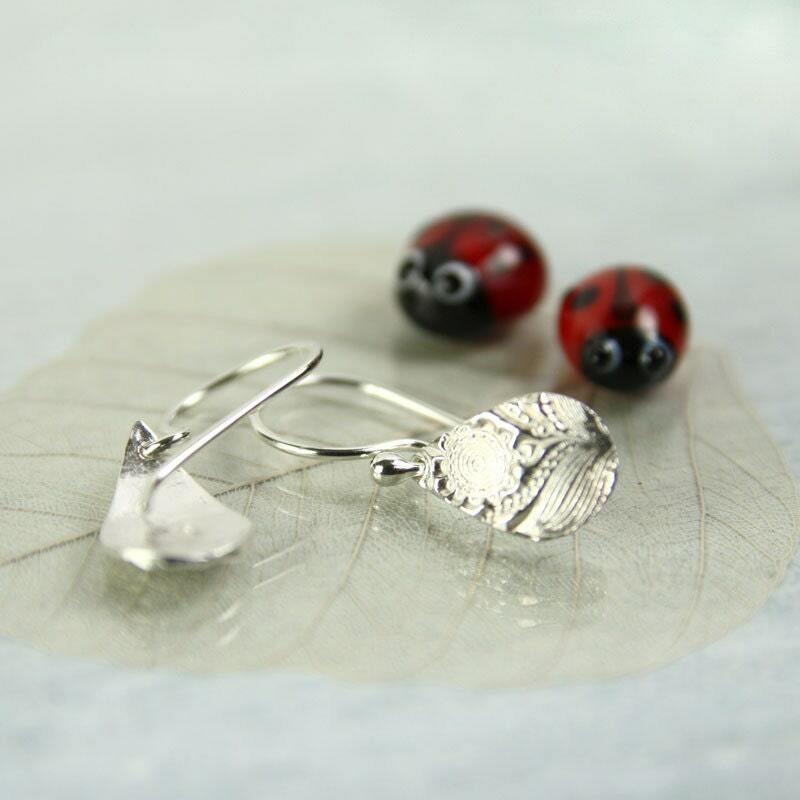 Beautiful earrings, easy to contact and quick delivery! Arrived quickly and really cute earrings for my niece's Christmas present. Hope she likes them too! Absolutely beautiful and very delicate. 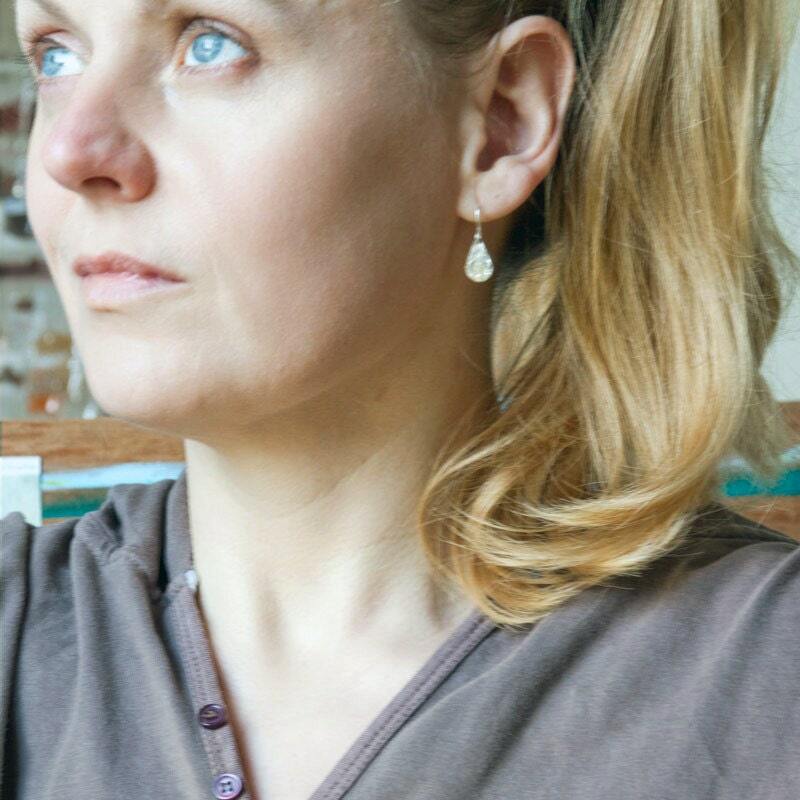 I like a smallish drop earring so these were perfect for me. They arrived very quickly.